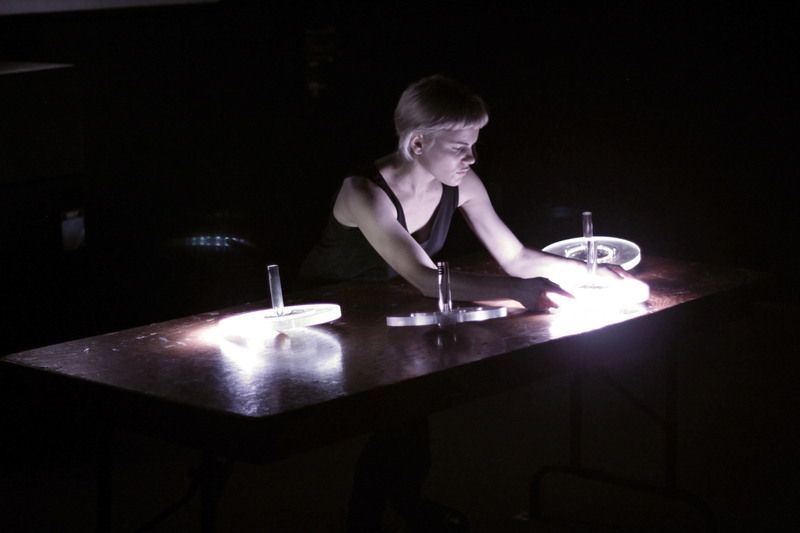 During her residency, Myriam Bleau will work on an audiovisual performance project using a constellation of detailed spherical luminous interfaces. Each interface will be equipped with motion sensors and wifi modules sending data to the MAX/MSP environment. Myriam will experiment with various devices on the same network, balancing latency and communication stability. Several of these spherical interfaces will be suspended at different heights, allowing various manipulations such as pendulum motions, throws, rotations, rebounds but also free manipulations. 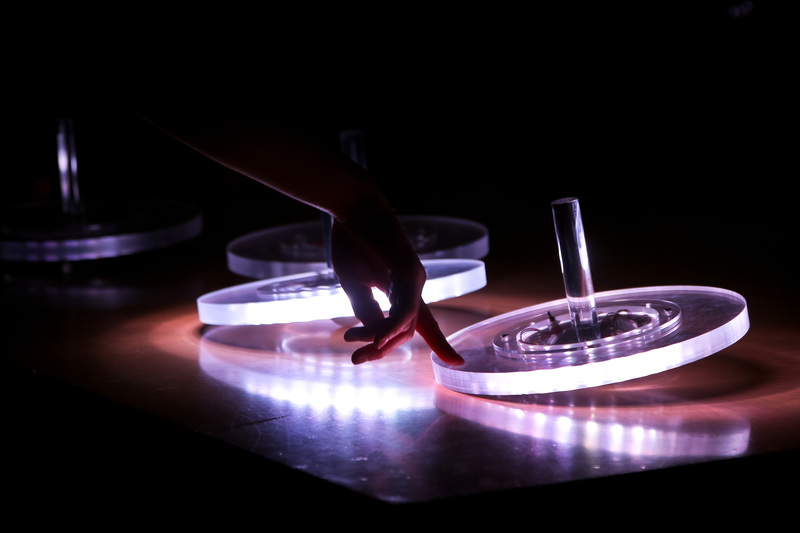 An exercise in sonifying movements and physical processes, this project is inspired by a long-lasting fascination in the music community for pendulum effects (Poème Symphonique by Ligeti or Swinging Speakers by Gordon Monahan). Myriam will be presenting her work at No Patent Pending #32 on April 5, 2018.